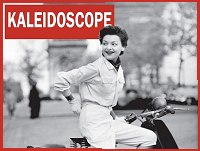 “50s in Europe Kaleidoscope” is a new project led by KU Leuven and including a mix of technology partners, universities and content providers. The aim of the project is to use state-of-the-art technologies to improve the user experience in engaging with digital cultural heritage. The targeted theme is ‘Europe in the 50s’, when citizens on both sides of the East-West divide started to rebuild their lives after the war. By showcasing their daily life, work, play and leisure – as well as austerity, stress, despair – in an interactive, user-driven way and contextualised in the political nascence of the EU, this project wants to appeal to Europeans today. The kick-off took place on 20-21 September in Leuven hosted by the coordinator with participation of EC representatives and of Europeana. 50s in Europe Kaleidoscope is co-financed by the European Union in the frameowrk of CEF Connecting Europe Facility Programme. 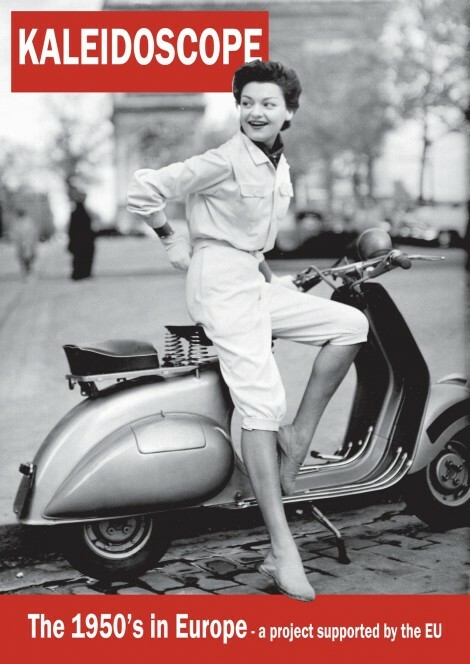 Thematic focus: the 1950s in Europe. The 1950s can be considered the foundation period of today’s Europe. Although recovering from the traumatic legacy of a recent, violent past, the transformation of Europe from a geographical expression to an integrated continent of peace and security was a distant dream. At the beginning of the decade some institutions (the OEEC and the Council of Europe) were already in place and, by the end of the decade, a framework for integration had been established with the Treaty of Rome. But Europe was divided – the formation of the Warsaw Pact in 1955 symbolising Cold War tensions. Coinciding with political repression, authoritarianism and the fear of nuclear annihilation, was a sense of increasing prosperity, welfarism and the development of democratic rights. The 1950s may be said, therefore, to be lodged in popular consciousness as a decade of diverse experiences across Europe – tradition balanced with innovation, and the old mixed with the new. Technology at service of people. The project offers innovative tools to engage citizens with digital heritage content. The thematic focus of 1950s in Europe is extensively documented by Europeana, the European digital library. Using pictures of people in the streets, men and women in the workplace, children playing, reconstruction works, changing cityscapes, freedom and repression, the project will compare the ‘feel’ of the fifties in the various European countries. The resulting stories will provide a stimulating environment for user engagement, open to multiple interpretations and to the inclusion of user-generated content. - implement an intelligent visual similarity search that integrates and complements the Europeana Core Service functionality, applying state-of-the-art deep learning techniques on a training photo collection; afterwards, the trained models will be applied to predefined collections and queries and on real life scenes, to be matched with images from the collections. - improve the end-user experience, supporting discovery and further use of the photographic content in Europeana, combining it with personal experience and user-generated material via demonstrator applications (web/mobile) and augmented reality services, for users and CH institutions. - improve the Europeana database integrating back-end tools to allow users to manipulate photographic collections, then interacting with the source Europeana database to update the existing records with the crowdsourced annotation, contents and addenda. - develop a community of users (culture lovers, educators&researchers, GLAM pros, creatives), for awareness-raising on Europeana content and its research, societal and even commercial potential, and for training/demonstration of reuse. A key component for this action will be an educational portal including a MOOC. - yield data that are beneficial to support curation work, particularly in curating virtual exhibitions, thus answering a need identified during the creation of Europeana Photography Thematic Collection. Photo courtesy Topfoto.co.uk. In Copyright. Photoconsortium Annual Event, hosted by CRDI. Public seminar and general assembly.